Peter Monteverdi founded one of Switzerland’s few automobile companies. He began it in 1967 and it went out of business in 1984. They built some serious luxury supercars in the early years but by 1976 the cars were history and the company looked way into the future: luxury SUVs. The Monteverdi Safari was their second SUV, behind the Sahara. It was a re-styled International Scout designed by Carrozzeria Fissore. Three engines were offered: a 5.7-liter International V-8 (165hp) or the choice between two Chrysler V-8s, a 7.2-liter (305hp) or a 5.2-liter (152hp). This one has the 5.7-liter International engine with 165 horsepower. The Safari was built between 1976 and 1982 and sold well in Europe and the Middle East. About 1,000 SUVs were built in total between the base Sahara and the upscale Safari. The price probably won’t be that outrageous compared to when it was new. You can read more here and see more from this sale here. 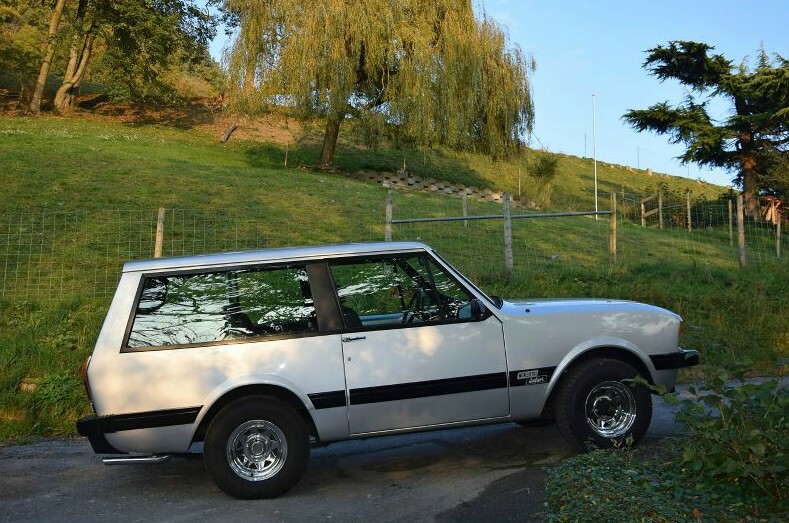 This entry was posted in Uncategorized and tagged 1978, auctions, cars, classic cars, monteverdi, oldtimergalerie, safari, safari 5700, suvs by classiccarweekly. Bookmark the permalink.